So, you are proud of your healthy diet packed with the best of antioxidants, healthy fat, nutrition and ample protein. But check the info below of some of those commonly loved powerhouses that can add piles of calories, if you are not conscious. Gluten Free diet is a lifelong partner for many and for others as this sound healthier. But did you know the reality behind your fat gain could be gluten free foods. How? “Manufacturers often add other ingredients like starch, gums, oils and syrups” that enrich the taste or keep it similar to wheat content in turn making your food denser with calorie. So, best would be in returning to the whole foods which are naturally gluten independent. 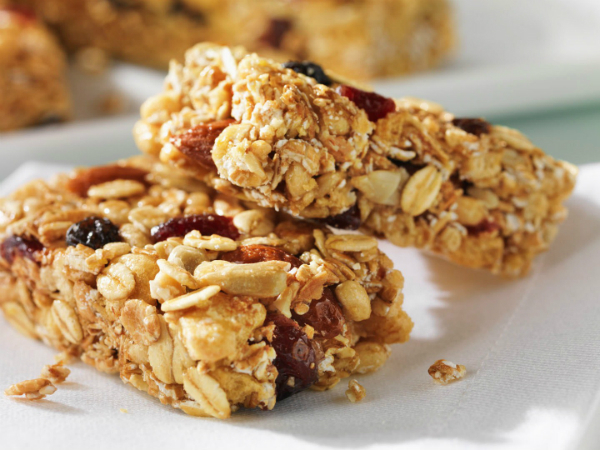 A good, healthy-on-the-way snack habits but the issue with this mix is the honey, dried fruit and chocolate and the other major problem is about consuming the right portion of granola and trail mix. Now, research says one serving of granola is only a quarter cup, which barely keeps your stomach full for long, so you stock another serving. It is in top priority list of healthy fruits, each of which gives about 10 grams of fiber and loads of potassium. It is also consumed in wholesome to cure cholesterol, risk of cancer and diabetes. A lot of people is careful of their skin and hair and keeps avocado as must to their diet list. But, one major downside to its over-consumption could end in piling fat to your dear healthy body! Yes avocado has high-fat content; still fat. Every 1 ounce of avocado contains about 4.5 grams of fat, 2.5 grams of carbs and at least 80 percent of calories in avocado is from the fat content, which means with each avocado serving you consume 40 fats from 50 calories. To sum up of the 4.5 grams only half a gram is saturated fat, rest a healthy heart fat. The nutrition water bottles definitively quench your thirst also promising to rejuvenate you. But the ‘vitamin-enhanced drink’ actually comes from the sugar content. For fact, 20 ounces nutrition beverage bottles come has at least 30 grams of sweet content. Information sake just vitamins and minerals in these are not enough effective as much pure water does. So say cheers to fresh clean water, stay hydrated and revived! Yummy tart taste from the flavored Greek Yoghurt is enticing, and comes in dozens of variety, but most of the delicious flavored smoothie yoghurt has high dosage of fat. For instance a 6 ounce of blueberry Greek yoghurt contains 16 grams of sugar, which means this diet is double the recommended sugar content each day. So, wise decision is to stick to regular Greek yoghurt, because flavor-free is fat-free. When you eat healthy, you should also know how much and which ones are really healthy for you.